A police patrol car informed residents to remain vigilant following the earthquake telling them not to panic as NO tsunami was imminent. 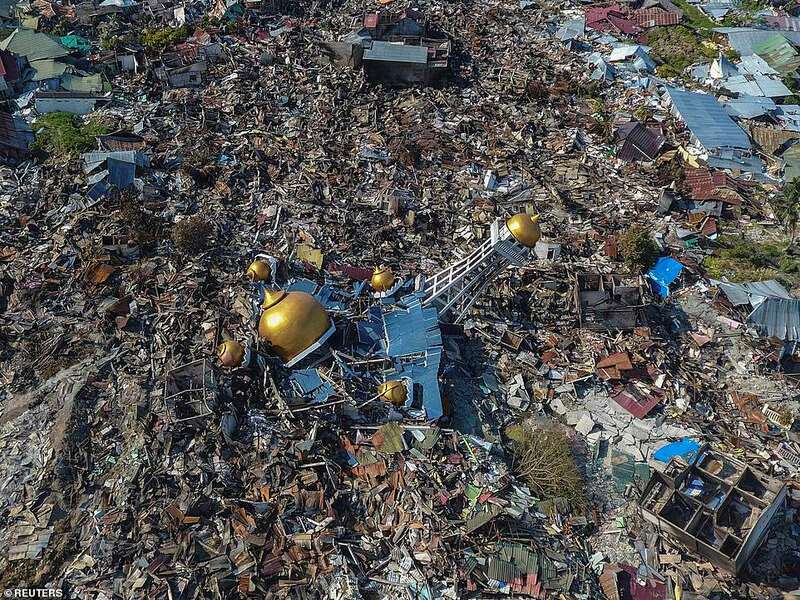 As the death toll races past 3,000 after the mag 7.4 quake last week, Indonesia's disaster agency says early detection tsunami buoys off the coast of Sulawesi have not been working for six years, resulting in insufficient warning before rising waters reached the shore. A network of 22 buoys connected to seafloor sensors was meant to transmit advance tsunami warnings to the Indonesian meteorology and geophysics agency (BMKG). But Sutopo Purwo Nugroho, spokesman for the National Disaster Mitigation Agency (BNPB), said the detection buoys had not worked since 2012 due to a lack of funding. "If we look at the funding, it has decreased every year," he told Indonesian media at a press conference on Sunday. The buoys, designed to detect tidal waves and potential tsunamis, are the fastest early detection tsunami technology in the country. Mr Nugroho said BMKG, which was responsible for alerting residents to potential tsunamis, also had not effectively reached many of the people who were affected. The backbone of Indonesia's tsunami warning system is a network of 134 tidal gauge stations augmented by land-based seismographs, sirens in about 55 locations and a system to disseminate warnings by text message. Indonesia's geophysics agency issued a warning for a tsunami of up to 3 metres following the magnitude-7.5 earthquake at about 6:00pm on Friday (local time) but lifted the warning 34 minutes after it was first issued. BMKG defended the decision based on a recording of an "insignificant" 6-metre wave 300 kilometres south of Palu, which did not account for the giant waves near the shore. Louise Comfort, an expert in disaster management at the University of Pittsburgh, said the early warning system had been stalled in the testing phase for years. "The tide gauges are operating, but they are limited in providing any advance warning. None of the 22 buoys are functioning." "In the Sulawesi incident, BMKG ... cancelled the tsunami warning too soon, because it did not have data from Palu. 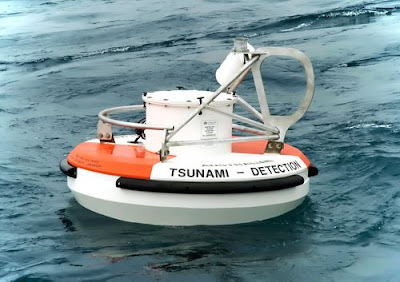 This is the data the tsunami detection system could [have provided]," Professor Comfort said. A concerted international effort was launched to improve tsunami warning capabilities after the 2004 tsunami killed 230,000 people in a dozen countries - more than half of them in the Indonesian province of Aceh. The efforts particularly targeted the Indian Ocean and Indonesia, one of world's most earthquake and tsunami-prone countries. The high-tech system of seafloor sensors, data-laden sound waves and fibre-optic cable was meant to replace a system set up after the 2004 earthquake and tsunami killed nearly 150,000 people in Aceh. However, internal politics and delays in getting 1 billion rupiahs ($92,867) to complete the project meant the system hasn't progressed beyond a prototype. "It's a heartbreak to watch when there is a well-designed sensor network that could provide critical information," Professor Comfort said. It's not the first time that early detection buoys were found to be not working. In 2016, a sizeable earthquake off the island of Sumatra caused panic in the coastal city of Padang and revealed that none of the buoys - each costing hundreds of thousands of dollars - were working. It was found that they had been disabled by vandalism, theft or just stopped working due to a lack of funds for maintenance. Harkunti P Rahayu, an expert at the Institute of Technology in Bandung, said power outages following the earthquake also affected the warning system, as sirens that were meant to warn residents to evacuate did not work. "Most people were shocked by the earthquake and did not pay any thought that a tsunami will come," she said. While the decision by BMKG to withdraw tsunami warnings has been met with harsh online criticism, Adam Switzer, a tsunami expert at the Earth Observatory of Singapore, said it's a "little unfair" to say the agency got it wrong. "What it shows is that the tsunami models we have now are too simplistic." "They don't take into account multiple events, multiple quakes within a short period of time. They don't take into account submarine landslides," he said. Mr Switzer said the priority after an earthquake in a coastal area should be to get to higher ground and stay there for a couple of hours, whatever system is in use. However, that was not the situation on the ground as residents said the phone lines were down, and they struggled to find access to accurate information. Palu resident Adnan Fadjar told the ABC he and his family lived 5 kilometres from the coastline. "There was a patrol car who informed residents to remain vigilant following the earthquake. They said 'don't panic because there will not be a tsunami'," he said. It wasn't long after when a horde of people ran in their direction screaming, "tsunami, tsunami!" he said. The family said they were lucky to be able to escape to higher ground by car. Since the 2004 tsunami, the mantra among disaster officials in Indonesia has been that the earthquake is the tsunami warning and signal for immediate evacuation. Not everyone is convinced a tsunami detection system is essential. "What Indonesian colleagues have commented upon is that people were confused about what to do with the alert information," said Gavin Sullivan, a Coventry University psychologist who works with the Indonesian Resilience Initiative on a disaster preparation project in the city of Bandung. The fact that people were still milling around Palu's shoreline when waves were visibly approaching shows the lessons of earlier disasters haven't been absorbed. 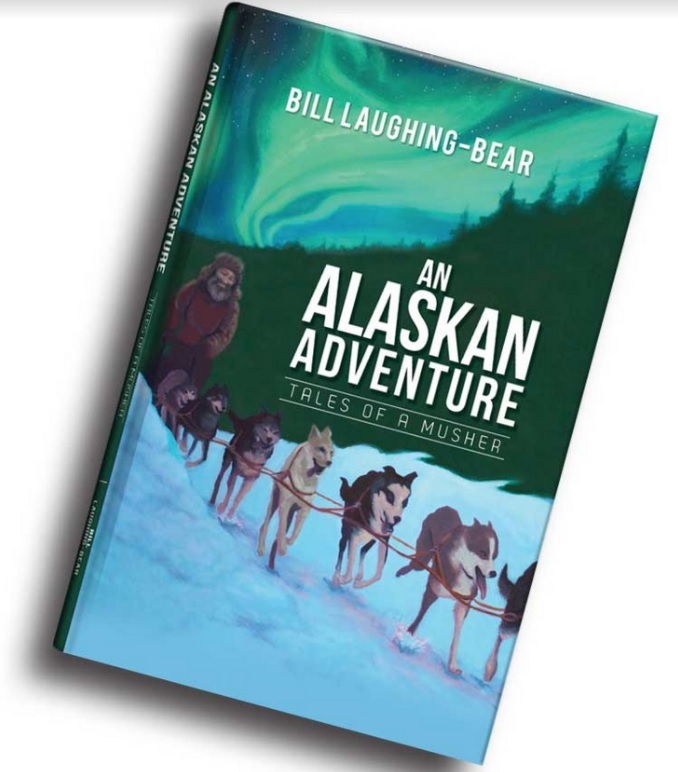 "This points to the failure to do appropriate training and to develop trust so that people know exactly what to do when an alert is issued," Mr Sullivan said. Mr Nugroho from BNPD agreed that there is a lack of understanding and anticipation in crisis events. "The event [of] tsunamis happen often and can result in many casualties ... the attitude of the public towards the anticipation of a tsunami is still very minimal," he told CNBC Indonesia.